POOL is a unique custom desktop app and download management platform designed to manage all the music that you download from Promo Only. The first time you download anything from us you will be prompted to install the POOL software to your computer. Once installed on your PC or Mac, POOL allows you to play your music, organize your downloads, search by artist, title, or BPM, change file tags, and file sizes, and much more. All POOL downloads are fully compatible with iTunes. There is even free technical support, should you need it. Get the convenience of daily, weekly and monthly digital delivery of the newest releases and exclusive content via high-quality DRM-free MP3 or broadcast quality M4A. All files are tagged to include artist, title, BPM, genre and more. 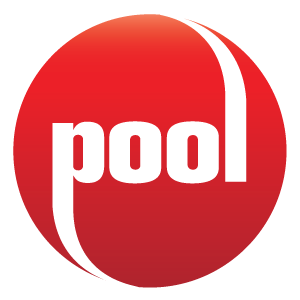 With POOL, you don't have to wait for promotional music in the mail. Your purchased music and music video is always available for download right to your hard drive. POOL syncs up with iTunes making managing your music & video library even easier. Don't use iTunes? No problem, POOL has multiple options covering how the file is named and where it downloads to. Our packages come with tons of music and video at a tiny little price tag. Get the package that fits your needs and your budget. Packages start at just $12.00 per month. While we don't place DRM on our files, all POOL content contains an inaudible embedded user-watermark that links each song to each user's account, allowing all POOL files to be traced to the original subscriber. This does not prevent legitimate backup of content; nor affect the use and play of our DRM-free files in any way. Signature agreeing to compliance with all copyright laws is required for service.